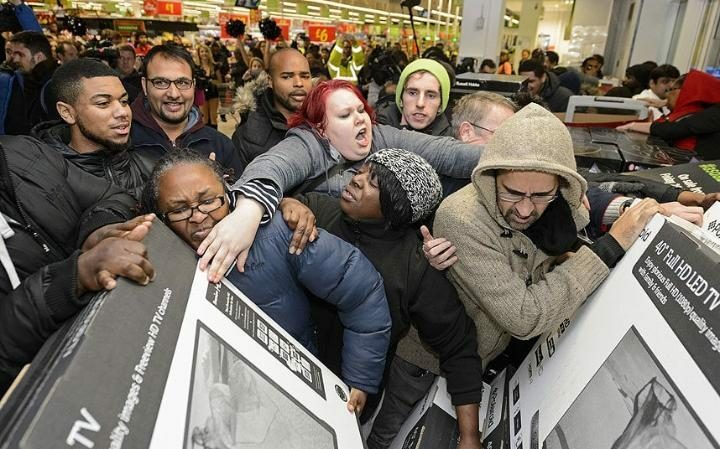 Black Friday has become rather tame in recent years, but there are still amazing bargains to be had this this coming weekend. We’ve compiled some of the best ones we could find in preparation for holiday shopping, so check here before spending those hard-earned dollars. We will keep updating this post as we are alerted to more deals. Sony is discounting many cameras and accessories now through November 29. 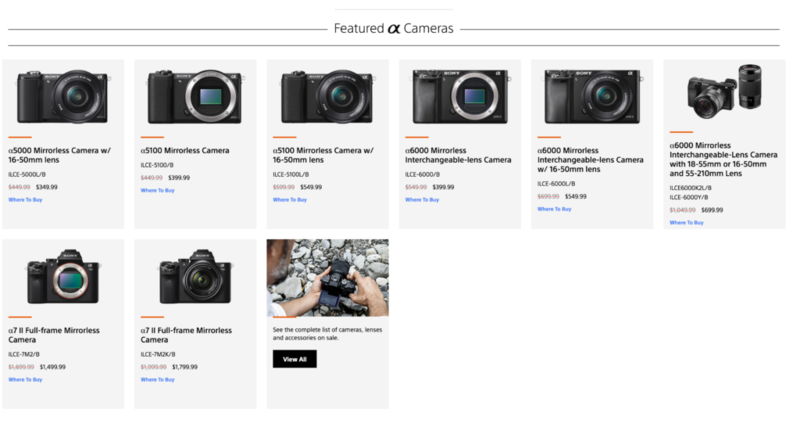 Whether you’re looking for a new a6000, a99 II, action cam or accessory, you have until next week to catch their deals. 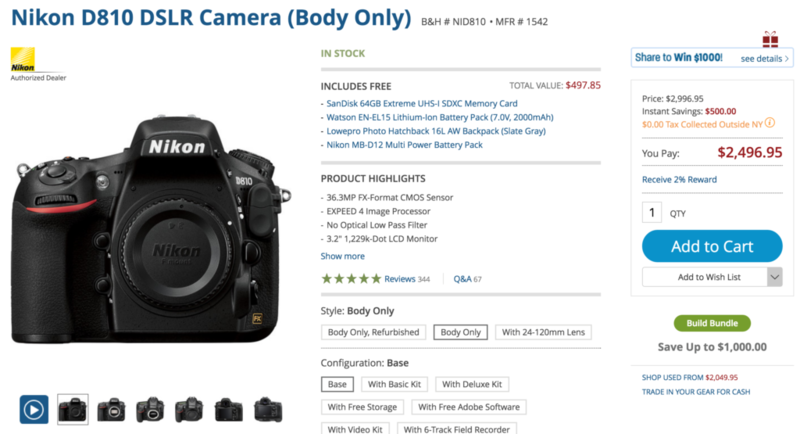 I might recommend waiting until the tail end of that time frame, as some of these cameras may find themselves discounted for more elsewhere beforehand (like in an Amazon lightning deal… you never know. Just play it safe). B&H has sale on iPads happening now, with many options discounted up to $50. It’s not that much of a price drop, but seeing anything off an Apple product is unusual. If you’re in the market for one, grab one of these before the prices go back to normal on November 30. 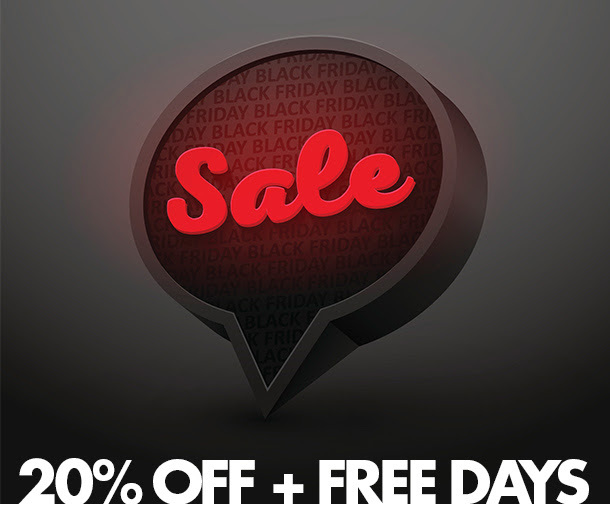 Borrowlenses is offering 20% off all rentals with code BF2016 plus get Thanksgiving Day & Black Friday free when your rental includes those days. 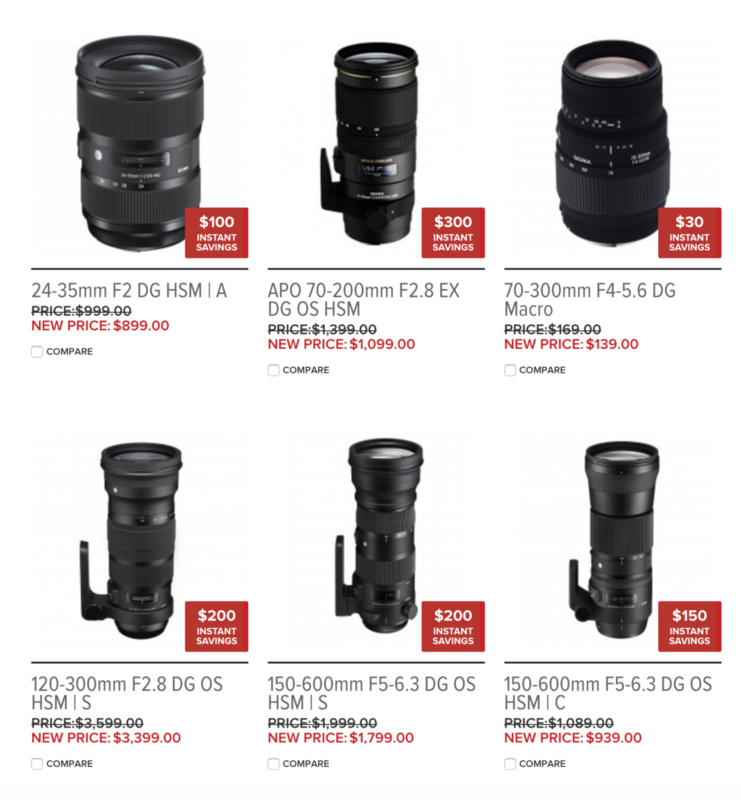 Make sure you monitor B&H’s rotating deals, which they will have going every day this weekend. It’s worth stopping by even if it’s just for a few minutes to see what they are offering. For example, today is all about memory cards. Syrp is offering discounts on the new Slingshot, the Genie Minis and whole multi-axis kits, which covers just about everything the company makes. 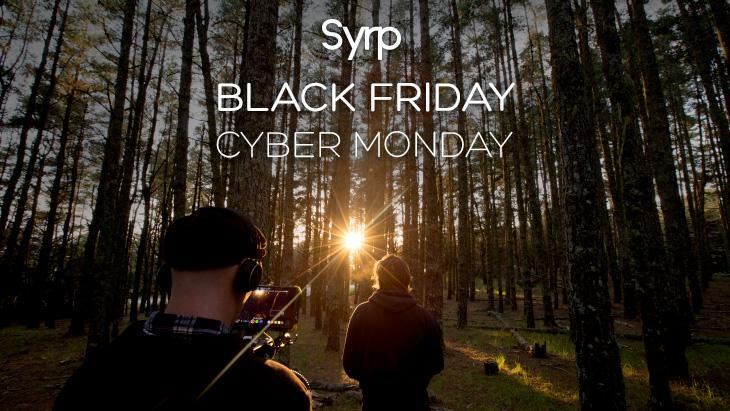 The deals won’t start until Friday, and they end on Monday, so check back with them in a couple days. 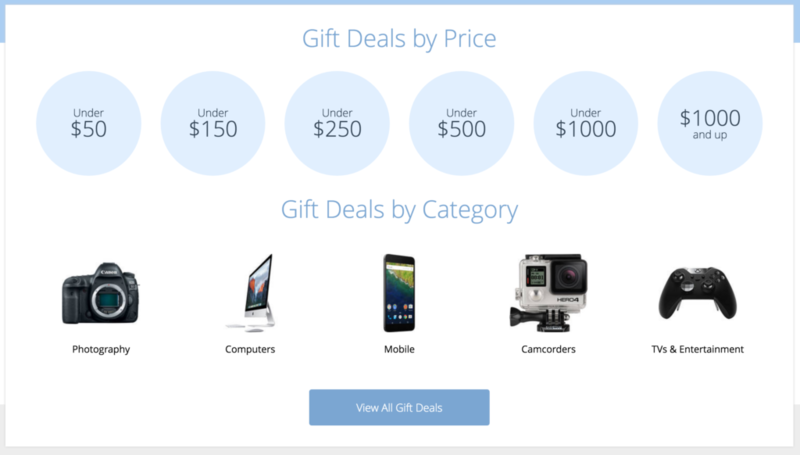 Orders over $100 get a Free MagGrip or MagWallet ($29 value) + Save up to 20% + Free Shipping. Orders over $300 in the first 12-hours get an additional $30 gift card. This raging sales goes from November 25-28. The sale ends on November 29. You can find a whole slough of more deals here. 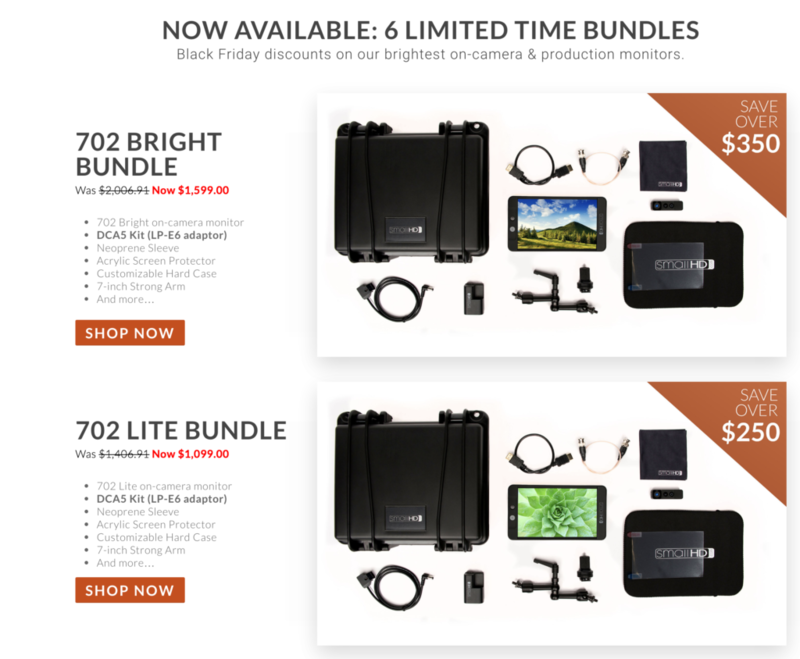 SmallHD is offering six different bundles at discounted rates, with up to $1700 off their most impressive monitor and associated accessories. SmallHD makes some killer monitors, so this is something you’re going to want to take advantage of.